As I said in two brief posts earlier this week, I am proud to announce that my latest novel Permanent Spring Showers will be published by 5 Prince Book in October of this year. 5 Prince Books is an indie press started by author Bernadette Soehner. I really liked their goals as a house (which you can read about on their About Us page here). And it inspired me to reach out to them about my new book. On Thursday I sent the query. On Friday they asked for the complete book. On Monday they asked to publish it. As a writer, a turnaround like that is just awesome for the ego. My bio and book description for the novel are already up on their site (you can find it here); and my editor already has her copy of the novel. So far I’m really digging the environment around this publishing house. After signing the contract I received over thirty e-mails from other writers and employees there welcoming me! That is just so incredibly heartwarming. What other house does that? 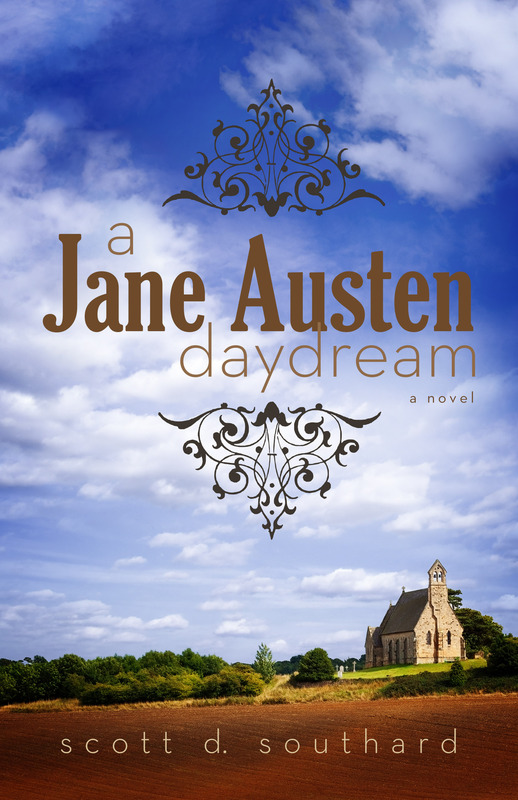 Affairs, betrayal, manipulation, and glorious inspiration, the new novel by the author of A Jane Austen Daydream. Permanent Spring Showers is scheduled for release in October. So work continues slowly on creating a book out of some of my personal blogposts. It was truly a laborious process whittling it down to less than forty, but the table of contents is locked. Now it is just a matter of reading and re-reading and re-reading again the manuscript. The problem, for me, is that it is all about me. I’ve never been the dude that enjoys reading about himself, probably why it is so natural for me to do posts like this for a blog. Write it, put it up, and then move on. My original hope was to have this book out in March, but I think I will probably be aiming for more in late April. There is just too much going on right now. One of the things I have been debating for a while is what I will do next as a fiction author. Well, I think I finally have that locked down as well. A few years ago I wrote the first draft of a book that I planned to make into a young adult trilogy (I spoke about it a few times before on the site). I had outlined the entire trilogy, wrote big chunks of all three books… and then went away and wrote Permanent Spring Showers, a much more grown up book. Well, last Sunday, I took out the old book (the first book in the series) and began reading and, amazingly, I was pretty happy. (Honestly, I am usually my own hardest critic, I have a lot of abandoned projects.) Over the next few months, I plan to finalize a solid draft of that first book. The first book is entitled My Days as a Thief. One of the main inspirations behind this novel is I wanted to write something for my kids when they are older, right about to become teenagers. Something that will help them understand life (the good and the bad), how to find one’s purpose, how to discover what is important, how to be their own person, inner strength, etc. Oh, and to do that with a lot of fun and scary fantastical adventures along the way. Of course, what to do with it afterwards will be the tricky bit. See, everyone and their grandmother seems to be writing young adult trilogies these days. I’ve never considered myself as “fad” writer. So finding a publisher for it might be difficult since there will be so much competition (plus, I want there to be artwork with the books). Then there is the question of the other two novels that will be needed to complete the series. I’ve never been the kind of writer that follows a set path, I let my inspiration lead me. There is a very good chance, after writing the first book, that I might just walk away from it for a few years. So I’ve been thinking… when I feel the book is ready I might start to share it on this site. One chapter a week. This will give me an opportunity to “field test” the book, see what others (readers and writers) think. Of course, I might be acting a little giddy even considering an idea like this. The sunlight can do crazy things to a person’s psyche. This entry was posted in Writing and tagged 5 Prince Books, Bernadette Soehner, Blogposts, Creative Writing, Fiction, Life, MPW, Parenting, Snow, University of Southern California, Update, winter, Writing by Scott D. Southard. Bookmark the permalink. Holy Cow, Scott. A Query one day, a request for the full manuscript the next, and an offer two days later? How cool is that? I am mystified. I’ve been a little out of the loop for a while, writing a memoir, and haven’t been able to keep up with you as much as I’d like. I’m already playing with the query, and boy … it’s not easy. Keep on keeping on. You are such a talent and an inspiration. Wow! Thank so much! I’m a little overwhelmed you think that way. Thank you again!